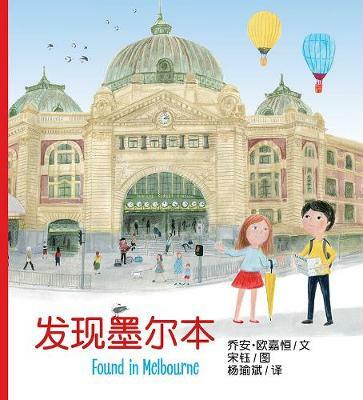 In ground-breaking publishing, two versions of a children’s picture book will be published simultaneously in English and Chinese by a mainstream Australian publisher. 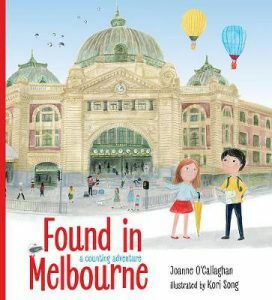 Found in Melbourne is written by Joanne O’Callaghan, illustrated by Kori Song, and the Chinese edition translated by Kevin Yang. It is published by Allen & Unwin. The two hardcover books have identical illustrations, but one has a text in English and the other in ‘Simplified Chinese’. It is set in Melbourne and further afield with locations such as Luna Park, the State Library of Victoria, the Great Ocean Road and Puffing Billy Railway. These places and further information about them is also given at the end of the books. As well as exploring Melbourne, these are counting books. Young readers have the opportunity to learn or practise numerals from 1 to 12, then the big numbers 100, 1000 and 1,000,000. There are many interesting details such as one of Sidney Nolan’s iconic Ned Kelly paintings which makes an incognito appearance in the scene set at the National Gallery of Victoria. The girl and boy protagonists have red and black hair respectively. Part of the rationale behind the books is that Victoria recently had almost 600,000 Chinese people visit annually, the Chinese population of Melbourne is increasing and over 75,000 schoolchildren are learning Mandarin in Victoria. 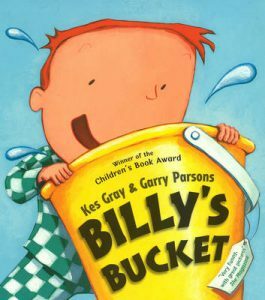 I was excited to see a new picture book by Essex-based Kes Grey, funny man creator of laugh-out-loud Billy’s Bucket and many other books. Oi Cat! 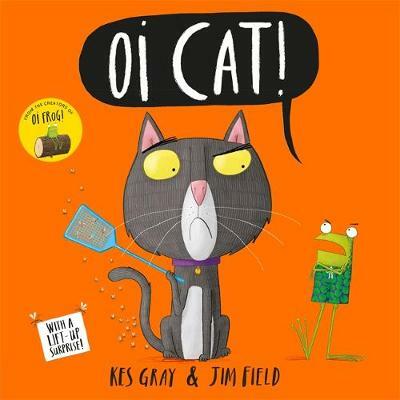 (Hachette) is another picture book where Grey collaborates with illustrator Jim Field. It follows Oi Frog! and Oi Dog! Like Found in Melbourne, Oi Cat! uses a rhyming text that is perfect for young readers. The rhyme, humour and anticipation will keep children reading and their vocabulary and spelling will be extended along the way, particularly by some of the animals’ names such as ‘alpaca’ (which rhymes with ‘cream cracker’), ‘armadillo’ (which rhymes with ‘pillow’), ‘dingoes’ (which rhymes with ‘flamingos’) and ‘gnats’, which cats sit on here instead of on ‘mats’. The narrative follows the dilemma of what cats could alternatively sit on and this creates playful reinforcement of the ‘-at’ *rime. There is also sly discussion about what hogs and mogs sit on: generating many ‘-og’ words such as ‘clog … cog … jog’ and a surprise and somewhat painful-looking ending.